Aurora, Newmarket, Bradford Realtors | York National Realty Inc. Realtors at York National Realty Inc. provides real estate services across Aurora, Newmarket, Innisfil, Barrie, King, Bradford, Sharon, and Holland Landing. 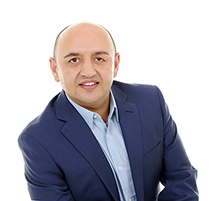 Farid has been an active Realtor in Aurora since 2002 and has extensive training in purchase negotiations and real estate investment analysis. He will employ this advanced training along with in-depth knowledge of Aurora and surrounding areas in helping you find a dream home or the perfect investment opportunity. Upon his return from Japan in 2002, Farid joined the market leaders in residential and commercial real estate and promptly climbed to the top, winning an achievement award in his first year with Century 21 New Concept Realty in Toronto. In 2004 he was presented with the Master Sales Award as a member of Royal LePage Team in Aurora. In 2010 he would collaborate with another seasoned Realtor to create a full-service brokerage that could fill a niche in the marketplace for highly-trained real estate professionals delivering outstanding service. Today Farid owns and directs York National Realty Inc. with assistance from a team of highly-skilled Realtors, Brokers and support personnel. He strives to deliver five-star service and quality. Farid specializes in the sale and marketing of luxury estates and properties of distinction within Aurora and King Township. He is bilingual and deals with international buyers looking to invest in Canada’s robust and flourishing real estate market. If you have any questions, please contact Farid via email: ameryoun@yorknational.com or at the phone numbers below. There is always someone to answer your questions or provide any other help you may need. Stefan‘s passion, honesty and dedication have been instrumental to his rapid success as a Realtor and a team member at York National Realty Inc. Growing up in King Township, Stefan’s broad experiences with the Township and its surrounding regions have afforded him rooted knowledge of the area’s vast real estate potential and development trends. 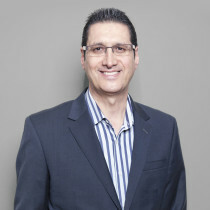 With his education and focus on Marketing and high-level sales negotiating, Stefan decided to make the transition from National Sales Manager for one of Canada’s largest jewellery manufacturers to managing his many loyal client’s real estate dreams.Stefan has a proven record of athletic achievements and has won numerous racing championships. This devotion to achievement along with his dedication to his wife Cindy and children Dylan and Stephanie have braced Stefan for a successful real estate career. 25 Years in Real Estate and still selling! As a senior member of York National Realty Inc., Saverio brings a wealth of experience and guidance to this relatively young firm. His positive attitude and trained listening skills help him identify needs and deliver results. His other strength is his effective communication skills. Accountability is a discipline he takes great pride in — his word is his bond. 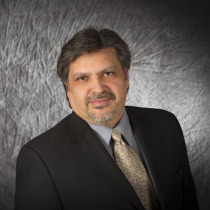 Saverio has been a licensed Realtor since 1989 and has sold hundreds of homes to satisfied and loyal clients. In the early 90’s Saverio was a critical component of the Royal LePage office in Aurora, he later joined the Sutton Group team in Newmarket where his achievements were recognized with numerous awards in different categories. Saverio has a broad knowledge of residential construction and has been commissioned to oversee a number of building projects in the past. He works with an expert team of professionals who can assist clients with their planning, legal and financing needs. Today Saverio Is the Broker of Record at York National Realty Inc. He manages and mentors a small group of Realtors dedicated to raising the bar when it comes to delivering service, knowledge and accountability. The Broker of Record is always available to answer your questions and/or heed your concerns. 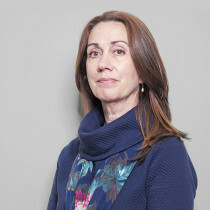 A resident of York Region for over 30 years, Lesley is personally familiar with the region’s growth and its potential for the future. Lesley’s experience and insight are instrumental to her succes as a Realtor. Alex is a University of Toronto graduate, he has completed several courses towards the Certified Management Accountant (CMA ) designation and the Canadian Securities Course (CSC ). Alex is passionate about supporting charitable organizations and improving the well being of his community, since 1999 he has been an active volunteer in many leadership capacities. He was the Project Coordinator for community events and managed 200 volunteers across Ontario over three years. Alex is also a dedicated athlete and coach. He coaches the boys and girls soccer teams in Aurora and is a member of men’s soccer league. Alex lives in Aurora and is prepared to assist you in making a profitable financial investment or finding your new dream home. Sam is a graduate of the University of Toronto with experience in financial advising and over 20 years of sales experience. 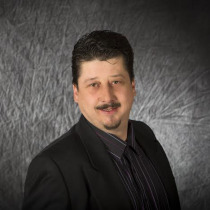 A family-oriented individual, Sam is a real estate investor and York Region/Simcoe specialist. He joined York National Realty in 2018. York National Realty Inc., Realtors in Aurora, ON provide excellent real estate service for buying or selling homes, real estate properties, investment properties, estate homes, luxury homes across Newmarket, Innisfil, Barrie, King, Aurora, Bradford, Sharon, and Holland Landing.